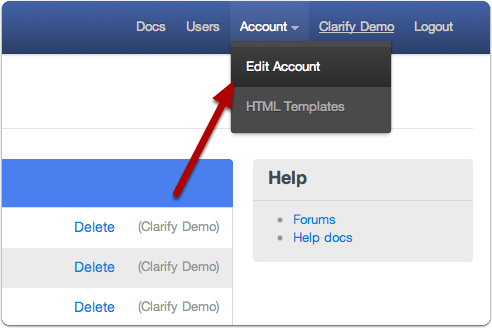 BETA Feature: This feature is only available on accounts that have been added to the public beta. If you would like to experiment with this feature then please follow these instructions to activate it on your account. 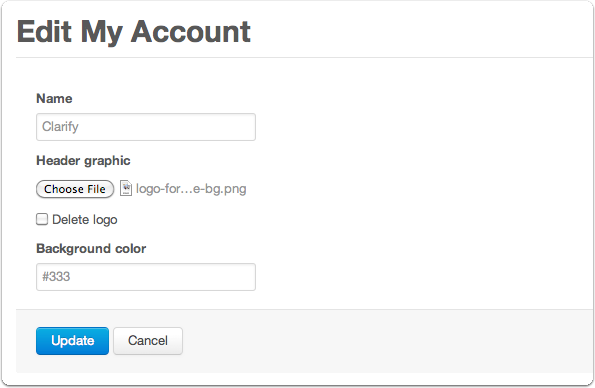 The name of your account - This will appear in your site header. A logo - This will be resized to fit in a 300x80 box. A background color - This will be applied to the header. Once you have made your changes, select Update. Is here a way to adjust the logo size to make it smaller if I want? No, Joseph, there isn't a way to adjust it. You would need to resize the logo before uploading.